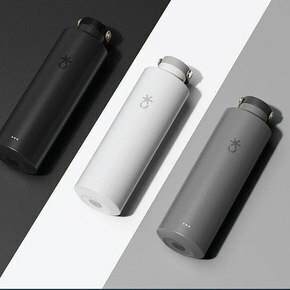 The Luma bottle is a self-cleaning, reusable water bottle. It purifies your drinking water by UV light. All the while, cutting plastic bottle waste. The Luma technology for this green, innovative product is patent pending. The bottle contains a UV-C light at its base which is in constant contact with the water. In one minute it destroys 99.9999% of the bacteria in the water, according to Luma. The bottle contains a waterproof charging port and a Li-Polymer battery that can provide more than two months of cleaning cycles to purify the water on a single charge. This innovative product and Luma technology were developed by college students who started working on it in October 2017.